Copyright (c) 2011 by Outside the Line. All rights reserved. Woof! A font full of the best-loved dogs plus one mutt. 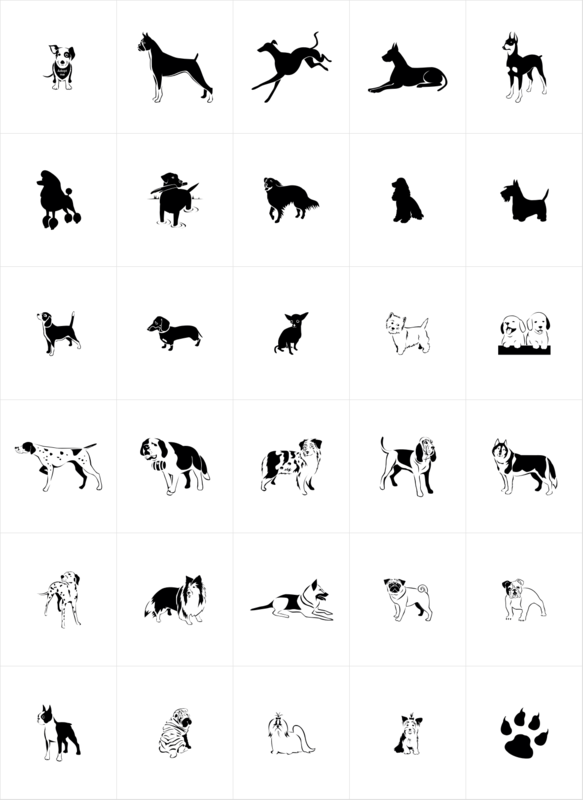 Distinct lines convey the character and heart of each breed.